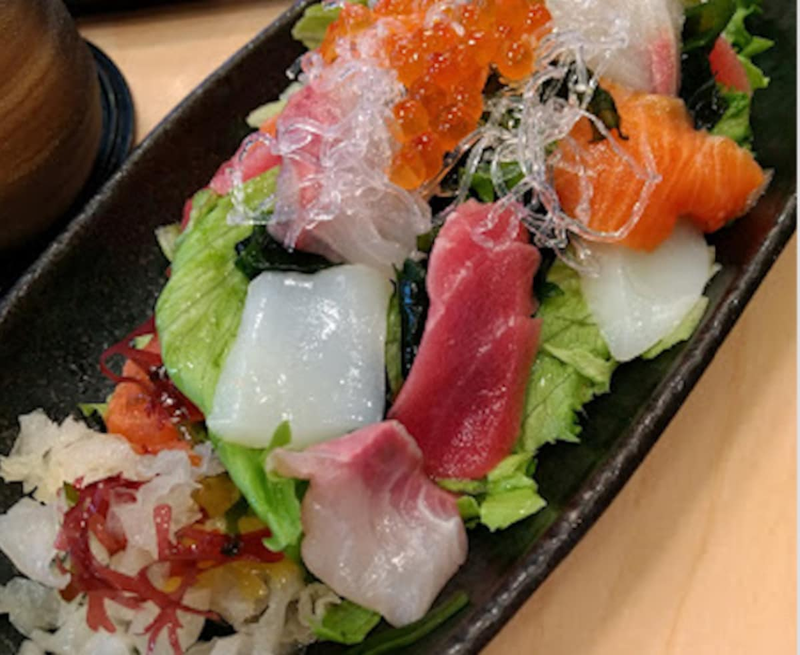 If you're on a gluten-free, vegetarian, paleo, keto (or what have you) diet, you may be wondering if there's something edible for you in the world of oishii Japanese food. While many global cities have already acknowledged these special diets in supermarkets and restaurants, it can be quite tricky in Japan. So, here's our survival guide! Paleo is also often tagged as the "caveman's diet," so the most convenient way to get filled when roaming the streets of Tokyo or most anywhere in Japan is to get into a sushi shop or head to the prepared meals section of a supermarket. If there's anything great about Japan is that they mean it when they say "Freshness Guaranteed," as bento boxes are usually put on sale by the evening to give way to a fresh batch of goods. The only challenge in eating both sushi and sashimi is that some people (especially those dealing with celiac disease) can't have processed soy sauce. The best way to deal with this problem is to bring packets of gluten-free soy sauce before coming to Japan. If this isn't an option, try asking for tamari, a freshly-brewed, naturally fermented soy sauce in Japan. Premium restaurants usually have it. If they don't, make a trip to the supermarket before dining out. "Komugi to omugi, bakuga ni arerugi ga aru no de, kono ryori ni tsukawarete imasuka?" Celiac disease is still a relatively unknown term in Japan but, for your edification, it's セリアック病 (seriakku-byo, literally celiac disease). Nagano, a popular side-trip destination for foreigners visiting Japan, is famous for meat. Known for its ski resorts, beautiful autumns and perfect natural landscape, Nagano also happens to be the home of aging beef, sausage, ham and most any item a carnivore would want. Some restaurants even serve rabbit and deer meat in the cold highlands. Nagano has many sites of interest, but if you happen to be tracing the holiday home of John Lennon and find yourself in Karuizawa, the best places for sumptuous meat meals are Pyrenees and Gumbo. Tasty hacks: Pyrenees offers buffet meals, which is a really good value for money at about (¥2,500/US$22). That said, make sure to make a reservation before heading to the restaurant, as they can be really full during the weekends. For dessert, Karuizawa Shopping Street is famous for Karuizawa Pudding. Specialty pudding shops that sell these solely are guaranteed to use 100 percent milk, without any flour or extenders mixed with it. Paomu's pudding has won a Grand Prix award for this milky dessert! This may be a little out of the way from your touristy itinerary, but it's perhaps the best way to enjoy a slow day en route to Yokohama. If you want to get the feel of a local vibe but a fine-dining experience in an affluent neighborhood in Yokohama, book a reservation at Restaurant Saito in Kikuna, a five-minute express train ride from Yokohama Station. This is a well-loved vegetable restaurant with most of its produce grown in the restaurant owner's farm. Since the main chef was trained in France, expect French cuisine fusion, which means lamb and fish dishes are also available for the meat eaters. Herbivore hack: if you prefer convenience over experience, head to an Indian or Nepalese curry shop (no, not a Japanese curry shop), which are in abundance in Japan. For sure, they'll have vegetarian and vegan options. In the morning, before heading out on a day of walking, or in the evening after you call it a day, you can have your special food delivered to your doorstep. I often pre-order my gluten-free dinner when I am 30 minutes away from home, allowing me to enjoy my meal just a few moments upon my arrival. The beauty of using Uber Eats is that you can specify special instructions and food restrictions in English as you place your order, and the Uber Eats peeps will communicate with the restaurant on your behalf. Also, you do not need to register for a separate account when in Japan. If you have an Uber or Uber Eats account from another country, you can freely use it within most areas of Japan's Kanto region. Snack hack: if packing stuff that's gluten-free in your carry-on isn't an option, pass by a PX, or imported, goods shop—there's a great one in Sky Building in Yokohama Station—or an AHHHH-MA-ZING Galleon shop. They have halal items, gluten-free offerings and vegetarian ready-to-eat treats. Galleon (with stores currently in Kawasaki, Yokohama and Minamiashigara) may not be as widespread as competitor Kaldi, but it's a haven for those who want something to munch on that suits their diet restrictions. A few stations away from tourist-favorite Shibuya is my happy place, Glutenfree Cafe Littlebird. Located in a quiet neighborhood, this relatively new gem has been raved about in most restaurant review sites. If you envy your companions who could enjoy Japanese food without restrictions, this is your GF (gluten-free) heaven. There's kara-age, ramen, udon, gyoza, waffles, pancakes with matcha and azuki (sweet red bean paste), that will make you feel like you're not really missing out on the Japan dining experience. They even have pizza, pasta and hamburgers! The best part is, the menu is translated into English and the owner, Yuko, willingly accommodates other food restrictions (vegetarian, no dairy, etc.). The gluten-free food there is SO GOOD, even people without gluten restrictions won't mind accompanying you to this place. Guests from all over the world adore this place so much, they often gift imported gluten-free goodies to the owner, which the owner generously shares with guests. Travel hack: if you're staying in an Airbnb, order takeout to reheat for your next meals. While you can walk to this café from Shibuya, the best way is to take the Chiyoda Line to Yoyogikoen Station. From Exit 1 (or the exit heading toward Tomigaya Library), you should immediately spot a Natural Lawson. Enter that street and turn right by the bend, heading towards a tunnel. From the tunnel end, turn left and you should easily spot a gray, industrial building on the street level. Your GF heaven is on the third floor!